It never fails to hit me in the feels. Tears of remembrance. Tears of love. And a reminder of the time I tried so hard to make Merry I found catharsis in a movie theater on Christmas Day. I think I’ve led with the punchline, so let me back up a bit. I’d love to say that changed at 30 because I had my own family, or something exotic like I moved out of the country. The reality is, Mom died in June 2004, only a few weeks before my 30th birthday. My Grandfather had passed a few years before & my Grandmother was no longer able to travel. Honestly, Granny-Christmas wasn’t only out of the question; the whole of the holidays seemed fairly screwed. Then, the other shoe dropped. Almost exactly 6 months after my mom, and just 2 weeks before Christmas, my mother’s sister passed away. I admit, it’s all still a little fuzzy in my mind. I asked my Dad recently, he also has no real memory of what we did that year. There was a trip to NH for my aunt’s funeral, but the memory box for that holiday is lost. My one clear recollection is being in the car when I got the news about my aunt. I was on the way to Target to Christmas shop for my brother’s kids; when I got home that night I told my boyfriend those kids were getting the best Christmas ever. I’d shopped my grief. All I wanted was to find a way to bring a little joy. The next year, 2005, I was determined we’d try to make new traditions. So I bought a really nice pre-lit tree and sent it to my dad. When I came down to WV from NYC we had a little tree trimming with a few of my college friends. So, after you get the set-up where the uptight girlfriend meets free spirit family, we learn that Diane Keaton’s character – the mother of the Stone Family – has cancer. 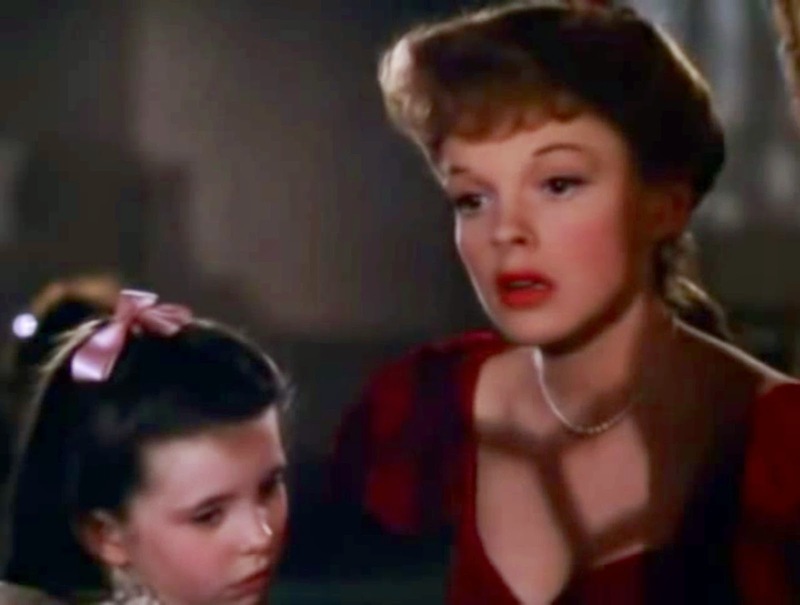 There’s a scene where the grown daughter, who is pregnant, is crying watching Meet Me in St. Louis. It is just at the part where Judy sings Have Yourself a Merry Little Christmas. The father walks in and talks to her, comforts her. A small, sweet daddy/daughter moment. At the end of the film finds the family a year later, and clearly Diane Keaton’s character has died. But life has moved on. Babies have arrived, love has been found, things are okay. Not the same. But that’s alright. You know, it’s been several years now since we’ve been able to spend Christmas together. It’s Dad who doesn’t like to travel now. It’s hard to to make the trip from NYC to Texas with my little ones any time; I can’t imagine trying it for a few more years at the holidays. As the song goes, some day, if the Fates allow. Until then, I’ll cherish all the holidays past, whether they glisten with glitter or tears. January 8, 2015 in Life Happens, Memories. Awww, this is beautiful. Heart-wrenching, but beautiful. I just had someone tell me that I need to see The Family Stone. So weird you shared it in this post. I love the way your dad summed up the movie/experience. Hugs to you.